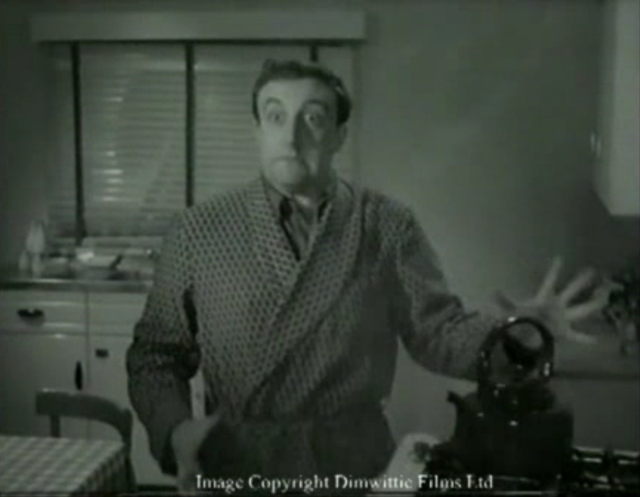 Today’s “holy crap!” story is the discovery of two long-lost Peter Sellers films that were salvaged from a trash can. Sellers, for those who may not know him, was a British actor and comedian, probably best known (at least to some of us) for his triple-header starring roles in Stanley Kubrick’s Dr. Strangelove. He also played Chief Inspector Clouseau in the majority of The Pink Panther movies. According to the New York Times Arts Beat blog, the lost films are titled “Dearth of a Salesman” (wah-wah) and “Insomnia Is Good for You,” and both come from 1957, when Sellers’s career was just starting to take off. Clocking at about half an hour each, the films were co-written by Sellers and renowned Canadian author Mordecai Richler, who twice won the Governor General’s Award. The shorts are silly, satirical takes on public-information films, and may even have been used by Sellers as reels to show producers his talent, reports the Independent. They were found by Robert Farrow, the building manager of the site that housed Park Lane Films, when he found 21 film cans among the garbage cleared from the studio and took them home. That was in 1996, but he didn’t actually sort through the contents until recently. There he found the negatives, titles, out-takes, and master prints of the two Sellers films.